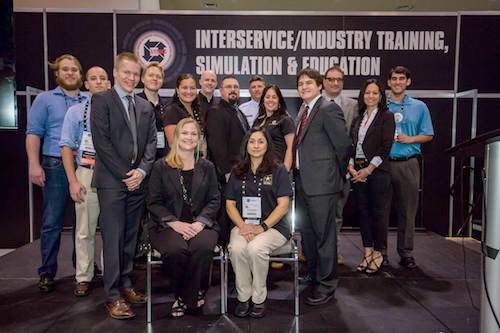 The Employee Education System’s (EES) Educational Gaming won the 2017 Serious Games and Virtual Environments Best in Show Award for its game-based learning product, Difficult Airway Algorithm and Rescue Cricothyrotomy, or DAARC. 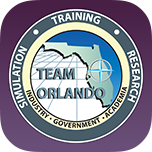 The award was presented Jan. 31 in the Developing Commercial Interest Large Company/Corporation category during the International Meeting on Simulation in Healthcare (IMSH) Jan. 28-Feb. 1, in Orlando. 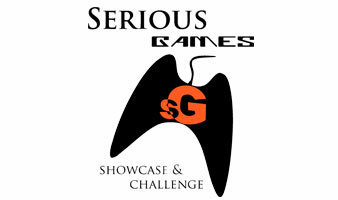 DAARC competed against similar products in the 7th Annual Serious Games and Virtual Environments Arcade and Showcase competition, which is an IMSH special event. DAARC was developed specifically by the EES Innovations Division to allow anesthesiologists and emergency physicians to safely practice decision-making and step-by-step procedures necessary in the event of a difficult airway scenario in an operating or emergency room. 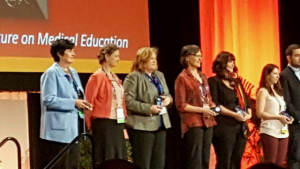 “This educational game helps fill a training gap to sustain low occurrence, highly emergent skills that physicians and respiratory therapists may need at a moment’s notice – patient rescue in difficult airway scenarios,” said Leslie Dubow, VHA EES associate director for educational gaming, who was on hand to receive the award. The difficult airway application incorporates a formative and summative blended-learning approach. Progressive learning opportunities are provided to the learner via procedural videos, a formative game and live practice with a mannequin simulator. Students are then tested on their retention of learning in a summative game. IMSH annually brings together more than 3,000 health care simulation educators, technicians and researchers from around the world who participate in more than 300 educational sessions including workshops, podium presentations, debates and expert panels, as well as the Serious Games Showcase. The majority of these same participants voted for EES’ winning application. “Congratulations to the EES innovations team on this achievement. Educational gaming is an exciting new modality for us. Real time, highly adaptive, engaging scenarios are powerful for learning. The games efficiently move each learner to their individual need, and busy clinicians gain complex skills quickly. Time saved and proficiency gained contributes directly to quality of care and Veteran access,” said Jim Warner, VHA chief learning officer.